Axenics’ team of certified technicians is capable of performing a range of tube assemblies consisting of stainless steel as well as various types of plastics. We have a reputation as a trusted supplier of tube assemblies to several different manufacturing industries. Why Outsource Your Tube Bending? You need tubes bent. This seems like a simple enough task to do on your own since you have equipment that will do the job onsite. Here’s what happens: Your technician places the tube into the mandrel tube bender without checking the thickness of the tube or setting the die pressure at the right spot. When the tube is bent, there is tube wrinkling along the inside bend radius. For OEMs in certain industries, such as semiconductor fabrication or medical device production, wrinkles on bent tubes are not tolerated for a variety of reasons. A wrinkle can cause fatigue to both metal and plastic material, as it can lead to cracks or material failure if the tube is placed into an assembly that experiences high amounts of pressure from liquids or gases. Unfortunately, wrinkling is a common defect when bending tubes and pipes. Understanding the reasons why this defect occurs, and finding the right solutions to prevent the issue, can ensure that your tubing is bent at the highest quality. Because of the number of defects that can be introduced during the pipe and tube bending process, it might be more cost-effective – and easier – to hire a reliable component manufacturing company. By doing that, you reduce material waste. Expert technicians can ensure the correct bend every time, based on years of technical experience and equipment is re-calibrated and serviced regularly to ensure accurate results are. At Axenics, we perform precision tube bending using the latest Horn Metric TBRE Hybrid CNC Bender. This type of CNC bending tool offers mandrel bending and roll bending combined to better meet OEM manufacturers’ specifications for components and tube assemblies. Our CNC bending tools in the hands of our qualified technicians provide consistent, high-quality tube bends while avoiding many of the problems that can arise from weld seams. We position the weld seam at the correct location, normally on the neutral axis of the bend (the centerline) to maintain the tube’s roundness. The tube can then be bent the required angle repeatedly along its length for a uniform look. This method allows for accuracy of the tube bend up to 0.005-inch to 0.010-inch. 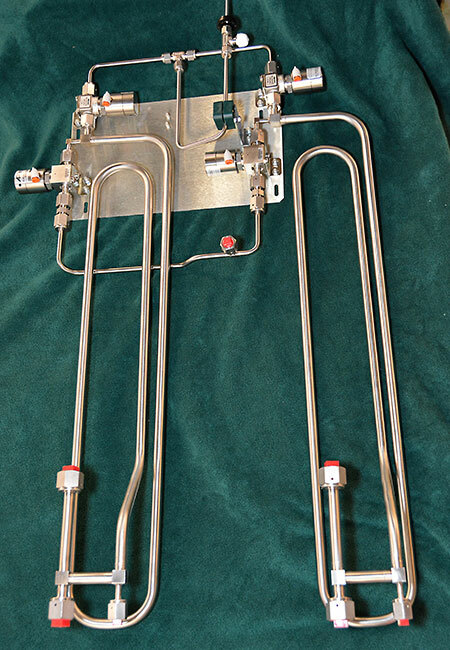 In addition, we can bend a single part per minute with our CNC tube bender, which allows us to perform large volumes of tube assemblies and meet customer deadlines. Precisely bent tubes are vital to your OEM operations. Utilizing the tube bending capabilities provided by Axenics can ensure that your tubes are free of deformities, bent accurately to your desired requirements and delivered on time. Component manufacturing references the individual manufacturing services utilized to produce individual components of a system. Component manufacturing refers to metal and plastic manufacturing services including tube assemblies, simple weldments and manifolds. Axenics manufactures components with metals and plastics and also can build products to meet specifications. Metal tube assemblies are a staple for the semiconductor industry, each of which contain a combination of welded tees and elbows. The majority of the stainless steel tube assemblies manufactured are commonly used for carrying high-purity gases and must be kept exceptionally clean throughout all steps of the manufacturing process. 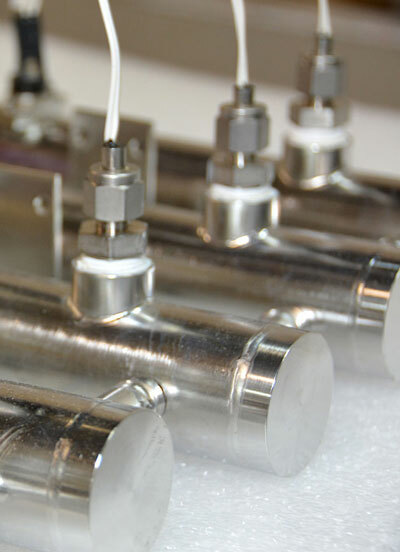 The stainless steel tubing we use is typically electropolished internally, sealed in plastic bags prior to being shipped to Axenics by a tubing supplier and issued directly to a Class 100 cleanroom to ensure the integrity of the process. We also work with copper, Inconel, aluminum, hastelloy and other metals. Our certified plastics specialists have developed proven methods for efficiently joining plastic tubing, for the development of simple and complex tube assemblies. Many of our plastic tube assemblies are produced in a Class 100 cleanroom to ensure that no contaminants are introduced during the process. The majority of plastic tubing contains raw tubing that has been purchased, professionally cleaned and bagged by the supplier in order to prevent any contamination prior to the production process. The development of tube assemblies typically can be performed with stainless steel or with various types of plastics. They can be simple or complex. Metal tube assemblies often are produced for the semiconductor industry and contain a combination of welded T’s and elbows. Some companies turn to welding applications to join metal and plastic tubes. However, these welding applications require the addition of fittings and joints to maneuver the tubes in the desired direction. Elbows, tees, barbs and couplings add more material, which extends the tube length and takes up more space. The additional equipment might simply not fit into larger machinery or processes when trying to connect gas or liquid pipes. Instead of welding, consider tube bending as a solution to add into your operations. Tube bending can be performed on both metal and plastic as the existing tube is bent into the desired shape and size. Tube bending means that fewer fittings and couplings will be needed to join tubes to new and existing equipment or components. Bending can be done to a wide variety of materials. Metals that can be bent include stainless steel, Inconel, aluminum, copper and titanium. Plastics such as PTFE, Polypropylene, Polyvinyl Chloride and many others that are crafted into tubes can also be bent without compromising the integrity of the material. Axenics has the bending capabilities to shape tubes that are as small as 1/16-inch and as large as 2 inches. OEM companies can work with our engineers to plan how new equipment and components can be added to their existing machinery without compromising the integrity of the tubes or systems. Precision tube bending will lessen the likelihood of leaks that can be a problem with welded joints. In addition, OEM companies that are using metal and plastic tubes for high-purity applications can rest assured that there will be a smaller chance of contaminants’ being placed into gas and liquid supplies that can often be a problem created by flaking welds when high pressure gas and liquids flow through pipes. By working with a contract manufacturing company that offers end-to-end solutions for assembly services, you can effectively lower costs and improve production quality. Download our PDF to learn more.